What are solar options for institutions? | West Coast Solar, Inc.
What are solar options for institutions? One of the biggest obstacles to widespread acceptance of solar energy is that people are unaware of their options for acquiring Bay Area solar power for their business, organization or institution. 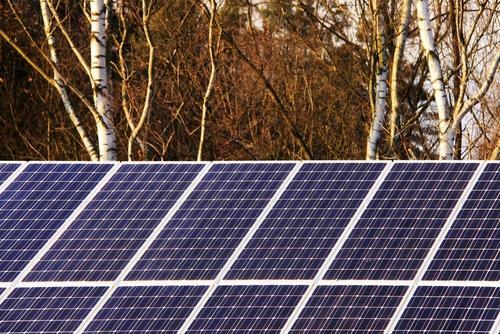 Many people have driven through a neighborhood and seen a home with solar panels affixed to the roof, and assumed the homeowner purchased the system outright with a large upfront cash payment. While that’s certainly a viable option for businesses, it may not be so easy for some, especially small companies, to come up with a lot of capital all at once. Fortunately, it isn’t necessary to do this. There’s many other ways for institutions and firms to invest in solar power generation without writing a big check. Panel leasing: Rather than purchasing the panels, you can lease them from a solar installer for a monthly fee. Lessees can still take advantage of the reduced price of solar power while avoiding the major investment of buying a system upfront. Power purchase agreements: If you have access to some land, you can work out a power purchase agreement that allows you to avoid the upfront costs of solar power. With a PPA, a solar contractor like West Coast Solar agrees to build and install a photovoltaic system on your site (the host). In exchange, the host agrees to buy power from that system at a set price for the lifetime of the panels, ensuring that you have a clean, renewable source of electricity while enjoying the lower energy costs of solar power. To find out more about leasing and solar PPA options, contact West Coast Solar.